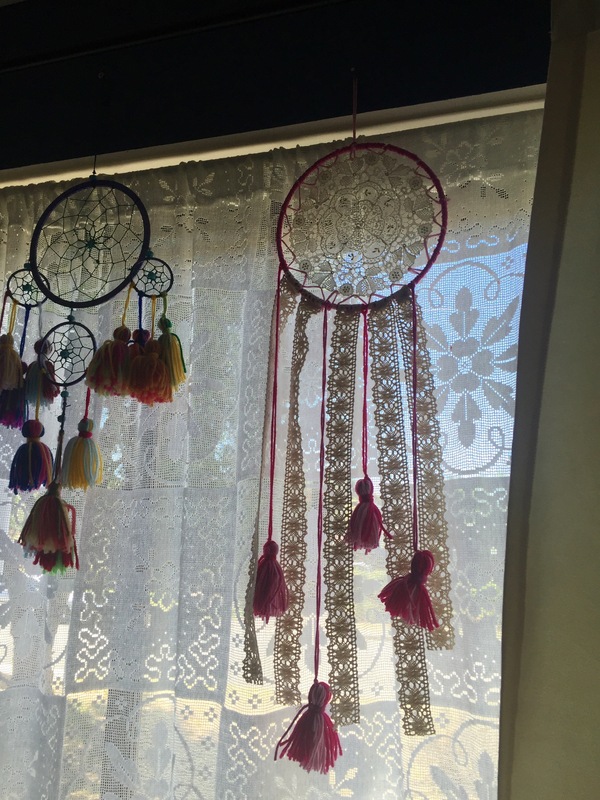 I have been falling in love with dream catchers made with old lace doilies lately. They’re all over Pinterest and Etsy, and I have had this small lace doily stuffed into my linen press for years now. 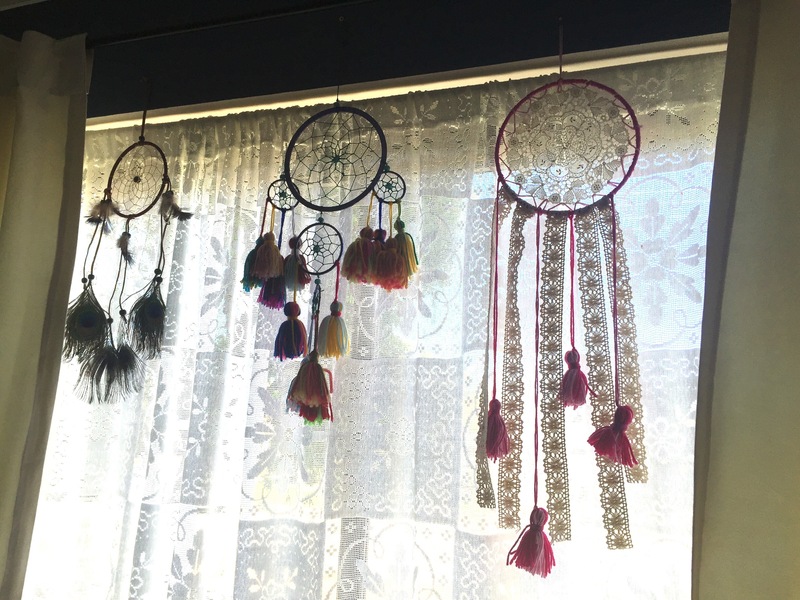 When I was in Spotlight the other day and discovered they sold metal rings for making dream catchers, I decided it was time to have a try at it myself! 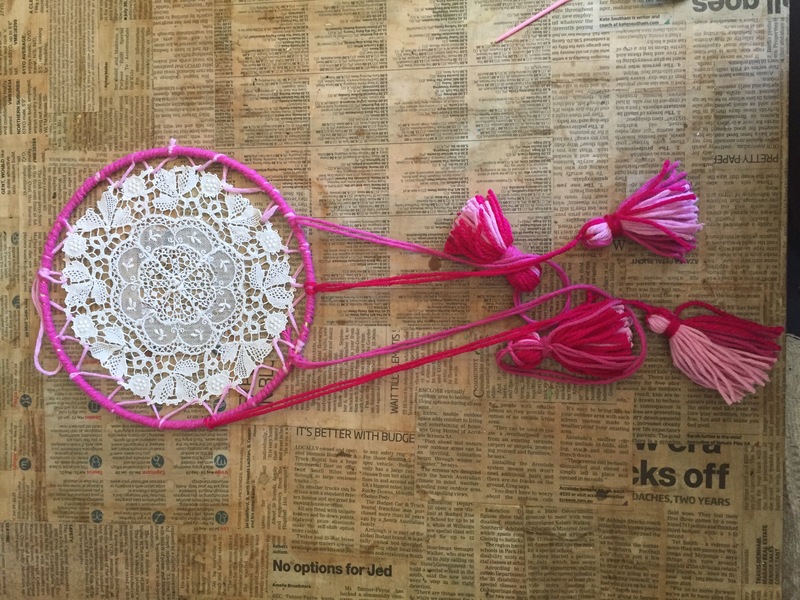 I also picked up this sweet crochet lace, and decided it begged for the girliness of pink! First step was to tie the doily to the ring. This was tricky, but I got there! Then I covered the rim with darker pink wool. This helped to keep the binding of the doily from slipping around. Then I made pink tassels with three different pink wools. 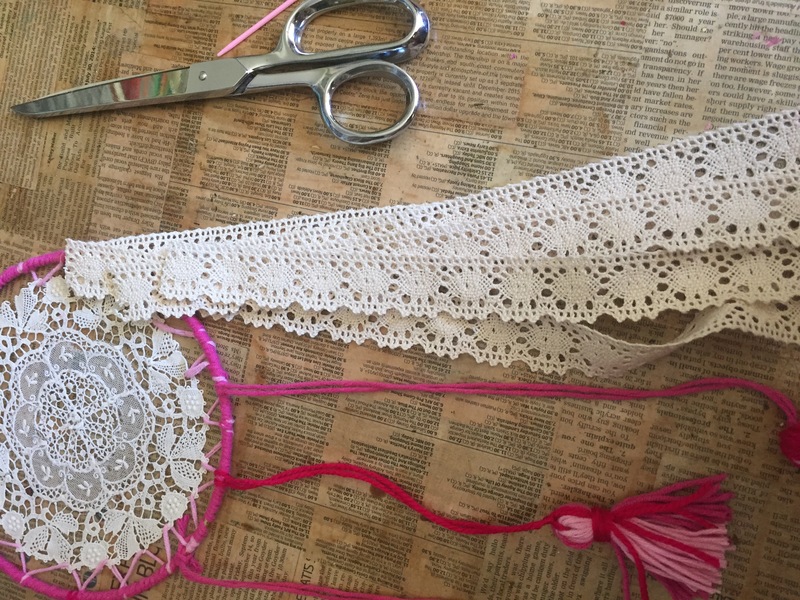 Then I hung the tassels from the ring and sewed the lace in place. And there you have it! 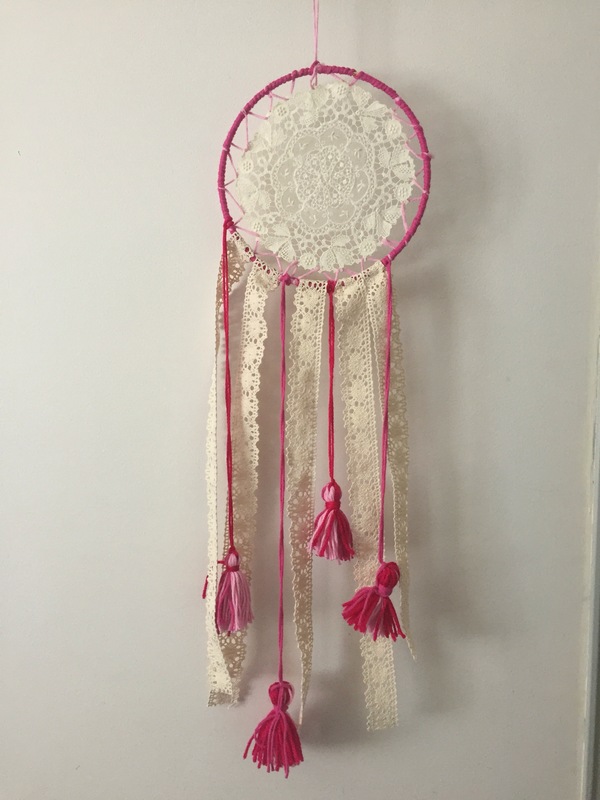 Another Dream Catcher for my collection!! 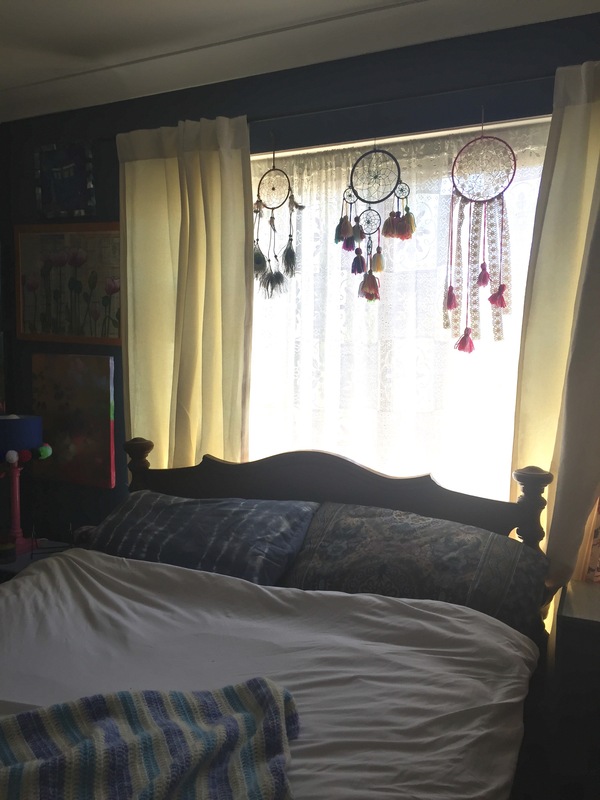 This entry was posted in Craft Projects, Decorating, Home DIY and Decor, Upcycled Projects, Upcycling and tagged bohemian, boho, catcher, craft, diy, doilies, doily, dream, lace, op shop, op shopping, tassel, thrift, thrifting, upcycle, upcycled, upcycling, vintage. Bookmark the permalink.